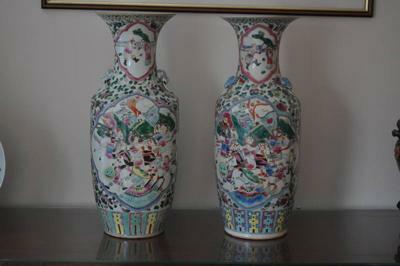 Are these Chinese Vases Genuine? 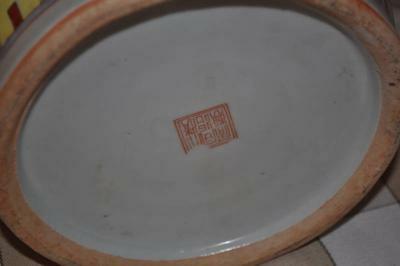 I would like to know as much information as possible on these two Chinese Vases I have come across. 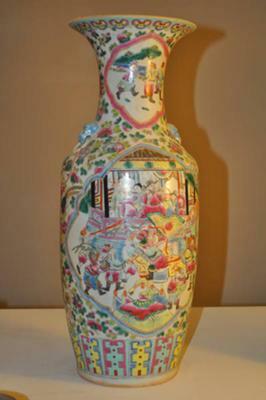 I would like to know the dynasty and how much each vase is worth if possible. Any other information is more than welcome. 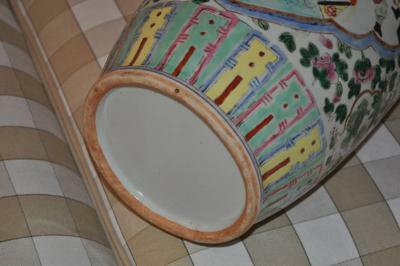 Comments for Are these Chinese Vases Genuine? Are they genuine? Sure, depends what you consider as genuine. Are they antique? For that we would need larger pictures with good resolution to view details. Please provide some closeup with partial details, the bottom, etc. clearly visible. Faces of some persons must be clearly visible. It may be of advantage to photograph during daylight outdoors or near the window, to get the colors right. Instead of uploading here, you can also upload high resolution pictures to Photobucket, or another picture site and post the link in this blog.